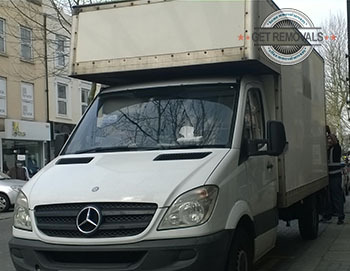 Don’t let your property removal spiral out of control in terms of cost and timing, instead get in touch with Removals Denmark Hill and let us organise, carry out and complete the relocation successfully, without costing you a single penny extra, or giving you any unnecessary hassles. Our diligent and well-organised removal teams will arrive on time and commence work immediately in orderly manner, with the intent to complete everything within the specified amount of hours. Our teams are made up of specially qualified movers who will take good care of your belongings. Safe and timely transportation of your items from A to B is made possible by our experienced drivers. We handle pretty much all types of domestic and business removals, no matter how big or small. 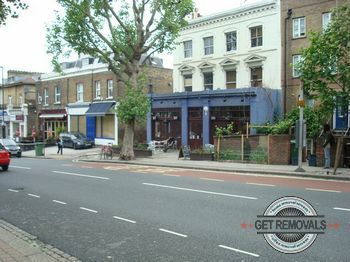 Special purpose removal services like piano or furniture removal are also available. Using our professional packing service is recommended for extra protection of your items. Self-packing is also possible, just let us know and we will deliver the necessary packing materials to you. In case you need to clear away some junk or rubbish before you leave, our efficient and affordable waste collection solutions are just what you need. In order to avoid any delays or unexpected setbacks, we coordinate all stages of every removal through our dedicated call centre. We maintain nationwide coverage on all deliveries and do pickups throughout London and surrounding areas. The company holds full liability insurance – extra peace of mind is always a good thing. Customers will receive adequate removal advisory throughout the relocation. We maintain helpful round the clock support, seven days a week. Having us deal with your relocation means fewer hassles and more time to be out and about. Go for a stroll through Denmark Hill, and in the meantime we will have everything wrapped up and ready to go. The area is quite hilly, although the Thames valley commences right at the end of Denmark Hill i.e. from then on the land is flat, all the way down to the riverfront. This means that there are certain vantage points scattered around the area, that allow for nice views of central London. Local residents say one can see the time on Big Ben’s clock face in clear weather from Denmark Hill. Originally, the suburb was known as Dulwich Hill but its name was changed to Denmark Hill in honour of Queen Anne’s husband – Prince George of Denmark.